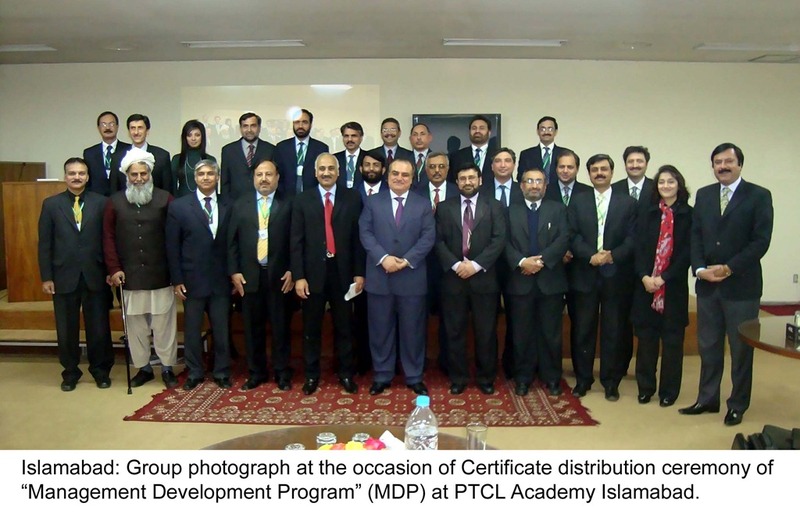 Pakistan Telecommunication Company LTD (PTCL) held a certificate distribution ceremony on the successful accomplishment of the three week comprehensive training program titled “Management Development Program” (MDP) at PTCL Academy Islamabad, said a press release issued by the company. Statement said that company has achieved various commendable milestones but this Management Development Program is one of the most world beating achievements as the entire training calendar 2011 has been designed based on the theme “Ensuring Corporate and Customers Loyalty through learning”. PTCL says it has a huge training infrastructure throughout the country that is geographically wide spread. PTCL President and CEO – Walid Irshaid while acknowledging this achievement, highlighted the pragmatic approach of PTCL and stated that PTCL is Developing Customer Centric Approach in the employees and keeping the pace with the dynamic trends of the Telecom Industry has always been a priority of the management, He expressed his satisfaction over the initiative taken by the training and development department and said that we will ensure that the training produces visible and desired results. He further added that we are continuously striving to make a positive impact on the lives of our customers, we are focused and determined to better understand the needs of the ever evolving customer and connecting with them. EVP Training and Development, Shakeel Ahmad, also expressed his views on this occasion and said that the Training and Development team has been making untiring efforts to turn PTCL into a true corporate entity. He expressed gratitude to his team and attributed this success to team work.